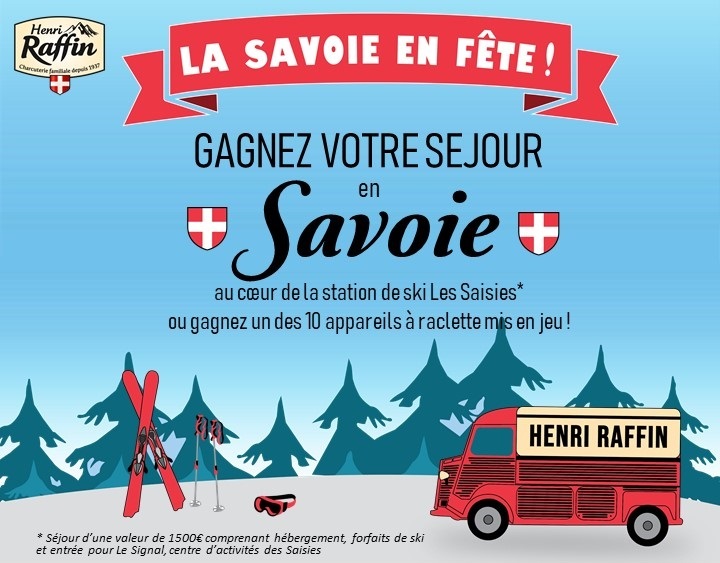 Henri Raffin selects quality fresh meats and natural ingredients in order to guarantee a range of high quality products. 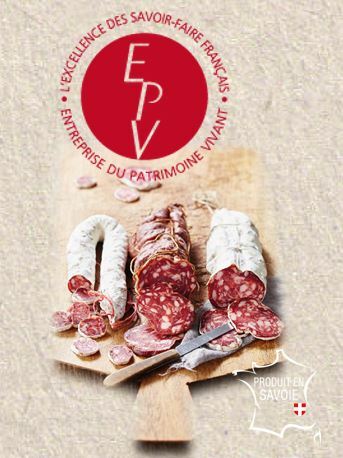 Our salamis are made of fresh meat -no frozen-. 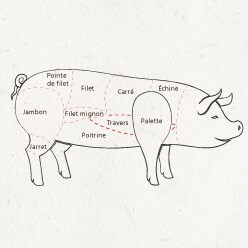 This short time between slaughtering and process warrants the nutritional and the taste qualities. 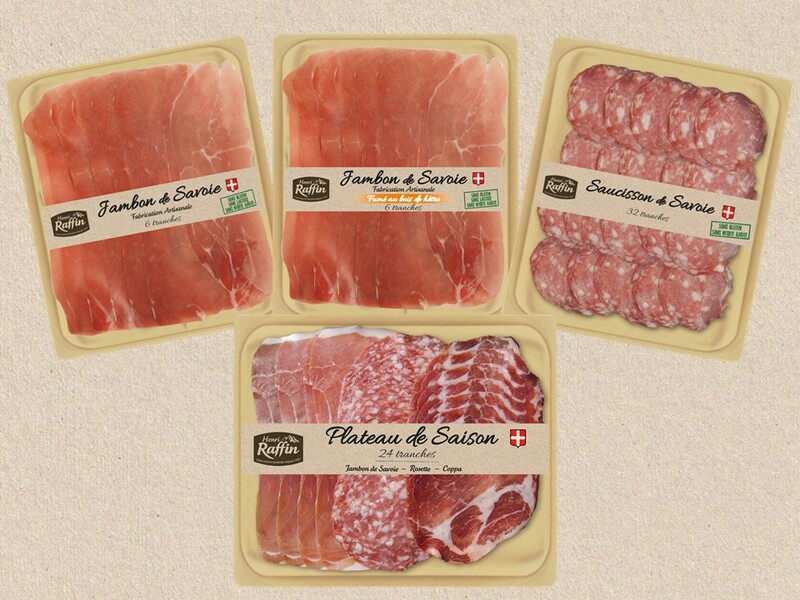 According to the range of products we have developed, we have selected different pig industries: organic, French pork, with European origin. Our suppliers are involved in pork breeding with 100% cereal feed and limitation of medical treatment. 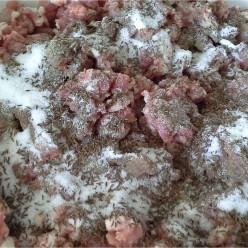 This is the trickiest part of the salami manufacturing: the operators stuff the meat mix “mêlée” into natural casings. In this step, the salamis will be steamed for approximately 1 week with progressing temperature in order to bind the meats. 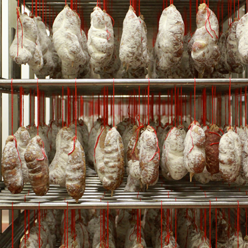 During their drying process between +10°C and +14°C for more than 4 weeks, depending on their weight, the salamis develop their full aroma, together with the natural white mould (edible). A salami can lose up to 50% of its weight in water between stuffing and the end of the drying process.